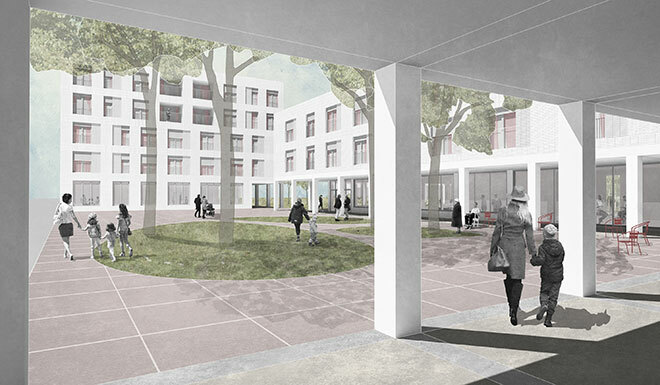 The intergenerational centre is to become a meeting place for young and old in Neubrandenburg, Germany. It therefore offers a wide range of uses from flats to a day nursery to outpatient and inpatient care places as well as service providers. In the international competition SMAQ’s architectural design was awarded the second prize.